Details Amazing art deco cinema artwork. This cinema used poster from 1971 has the most delightful pink, silver, pale blue and soft gold colours. 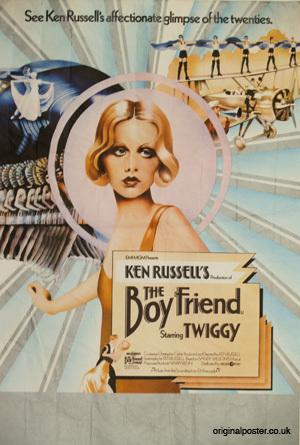 Twiggy is pictured at her most beautiful and surrounded by classic images of the Twenties. Wonderful typography and a poster to grace any room.